It may be messy, but Pakistan’s democracy is worth saving. As Washington mulls the Islamic State’s advances and Putin’s aggression in Ukraine, Pakistan’s democratically elected government is facing massive protests backed by some in the military and intelligence community. Led by Imran Khan and Tahir-ul-Qadri, thousands of protesters are demanding the resignation of Prime Minister Nawaz Sharif, a year after his victory in an imperfect but nationally and internationally accepted election. With covert military support, Khan is also demanding new elections and Qadri a utopian political system overhaul. Pakistani democracy is messy but military dictatorship – direct or indirect – is not the answer. So the protesters should stop currying favor with the army, and Prime Minister Sharif should work with the protestors to find a constitutional solution that covers electoral and governance reforms. Washington should support democracy so nuclear-armed Pakistan, next door to Afghanistan, can focus on combating Al Qaeda and its partners. In the last 12 years the likes of Al Qaeda, the Pakistani Taliban, sectarian terrorists and violent separatists have killed nearly 20,000 Pakistani civilians and 6,000 security personnel. Civilian leadership over the Pakistani military will decrease provocative policies towards India like supporting insurgents today only to fight them tomorrow. Moreover, a stable South Asia needs more democracy, not less. Democracies are less likely to go to war with other democracies. The current showdown between the protestors and the government is due to last year’s national elections, the prime minister’s attempt to reign in the generals by supporting peace with India, and the trial of former military ruler, General Pervez Musharraf. Indeed, Javed Hashmi, Khan’s number two, who was recently fired, said that Khan and Qadri plotted with the Army and its intelligence agency, ISI, to oust Prime Minister Sharif. Demanding Sharif’s resignation is the military’s attempt to regain lost power. Last May, defying Pakistani Taliban threats, millions of Pakistanis voted for their country’s first democratic transition. With an historic turnout of 55 percent, nearly 15 million voted for the current Sharif administration and 8 million for Khan. Qadri did not even participate. Observers from the National Democratic Institute and Asian Network for Free Elections noted that the “administration of elections was much better than in the past and that both officials and the public were better informed.” Based on directly observing over 38,000 polling stations, Pakistan’s Free and Fair Election Network reported that 1 percent of polling stations were physically captured and 3 percent had incidents of ballot stuffing. That said, these election observers also highlighted serious problems, including religious, sectarian and gender discrimination of candidates, and the lack of oversight of temporarily appointed vote counters by the Supreme Court. The election commission did not have the authority or resources to actively oversee vote counters or provide swift remedies. Even after the elections were largely accepted, the Sharif administration showed poor judgment and impeded Khan’s demands for investigating voter fraud, which galvanized support against the government. Soon after, Sharif’s brother ordered the police to harass Qadri’s supporters in Punjab, and the ensuing clash left 11 dead and over 100 injured. The relatives of dead were not permitted to file a police complaint for over two months. Certainly, the protestors have a legitimate gripe: electoral reform. Most Pakistani political parties agree on decreasing future voter fraud, but they don’t support Khan and Qadri’s solution: force the prime minister to resign, replace the Sharif administration with military-approved caretakers, and then hold new elections. The constitutional solution lies in the halls of the parliament, not military headquarters. Sharif’s offer to facilitate an independent judicial inquiry and strengthen the parliamentary committee tasked to investigate electoral fraud are steps in the right direction. The prime minister must also support constitutional amendments to devolve power by creating new provinces, so the largest province and Sharif’s stronghold, Punjab, does not always get the lion’s share of revenues and parliamentary seats. This will go a long way in placating the legitimate discrimination against smaller provinces such as Balochistan, which is inflamed by violent separatists. Sharif must also decrease cronyism, starting by inviting Khan and Qadri to join his cabinet, which today is dominated by Sharif’s relatives and business partners. Finally budget, foreign policy, and defense-related parliamentary committees should be strengthened to improve the civil-military balance and encourage bipartisan legislation. Washington can help by using its leverage. Most of Pakistan’s military is armed with American weapon systems and platforms such as the F/16 fighter jets, cobra gunships, and naval surveillance platforms. Of the $28 billion in aid America gave to Pakistan over the last 12 years, $11 billion was in direct support of combating terrorists and insurgents. While the Pakistani military did go after armed groups directly threatening its existence, it has yet to eradicate groups like Lashkar-e-Taiba and the Haqqani Network, which have wreaked havoc in Afghanistan and India. For years the United States gave billions to Pakistani generals to gain security for Washington and stability in Islamabad; today there is little of both. Besides putting pressure on Pakistani generals to go after the entire Al Qaeda conglomerate, Washington should continue to make its aid conditional on the existence and stability of Pakistani democracy. 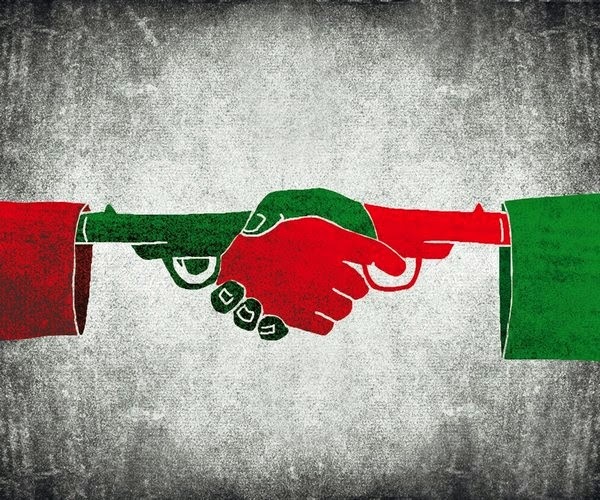 Pakistan has a plethora of problems: economic decline, ubiquitous terrorism, government inefficacy and corruption and the ultimate failure of creating an inclusive nation state. But Pakistan today has a few silver linings. In the last three weeks, leaders of 11 political parties spoke in favor of constitutional democracy, urging the prime minister not to resign under pressure from protestors. The current chief of the army, General Raheel Sharif, seems to have backed off from overtly supporting the protesters, and many in the media are openly criticizing the retired generals and spy chiefs involved in supporting Khan and Qadri. At the same time, many parliamentarians are chiding the Sharif administration for slow economic growth and cronyism. This is the beginning of constitutional democracy – when political winners and losers resolve differences in the parliament without colluding with generals or inciting violence. To encourage this trend, Washington should reinforce conditions for foreign aid to Pakistan, including those related to strengthening democracy and combating terrorist organizations like Al Qaeda, Lashkar-e-Taiba and the Haqqani Network. Democracy is messy; just look at the aftermath of the Arab spring and the current crisis in Iraq. Still, if democracy is consolidated with inclusive politics, it outlives and outperforms any dictatorship. Haider Ali Hussein Mullick is a lecturer at the Naval Post Graduate School and Adjunct Professor at the Naval War College. On September 6, Harjeet Singh was sitting in his herbal medicine store in the Nothia Bazaar area of Peshawar when two armed men entered the shop and opened fire. Harjeet, 30 and a member of Pakistan’s Sikh minority, succumbed to his injuries while his attackers escaped. Peshawar is the capital of Pakistan’s north-west province of Khyber Pakhtunkhwa (KPK), which has become the epicenter of militancy and violence in Pakistan over the last decade. Just two days before this attack, another Sikh was stabbed to death in Mardan, another city in KPK. Amarjeet Singh was at his cosmetics shop, when the shutters were pulled down. He was found later that evening by his son- stabbed to death in the warehouse adjacent to the shop. In early August, two unidentified men fired on three members of the Sikh community in Peshawar. One teenager, Jagmot Singh, was killed and two others were injured. In a report issued by Minority Rights Group International (MRG) in 2014, Pakistan was declared one of the most dangerous countries in the world for religious minorities. The report mentioned militant groups like Sipah-e-Sahaba Pakistan (SPP), Lashkar-e-Jhangvi (LeJ), Tehreek-e-Taliban Pakistan (TPP) and Jaishul Islam, which attack, threaten and abduct minorities. According to a U.S. State Department Report on religion in 2008, there are some 30,000 Sikhs residing across Pakistan, many in the north-western provinces of KPK and Federally Administered Tribal Areas. Following Pakistan’s general election in 2013, there was a new government in KPK. The new ruling party, Pakistan Tehreek-i-Insaaf (PTI), is led by the cricketer-turned-politician Imran Khan, who came to office opposing an operation against militants, proposing dialogue instead, and claiming that Pakistan’s army cannot win this “American war.” Khan even suggested that the Taliban should be allowed to open an office in KPK. Critics of his party believe that this has given the militants a free hand in the province and made minorities more vulnerable. Outlawed TTP militants from neighboring areas have infiltrated the Tirah valley (also in the north-west of Pakistan). Some of the roughly 40,000 people who were internally displaced from the valley were Sikhs. In 2013, the Pakistan military launched operation in an attempt to establish control there for the first time. The army now claims that the area is free of militants. Many of the Sikhs displaced from the Tirah Valley have adopted Pashtun traditions and culture. Most of them dealt with herbal medicine, spices, groceries, or were farmers. Since their displacement they are in a hurry to return home and restart their businesses. But these internally displaced Sikhs have not been able to return to the lush green Tirah valley, which is still not secure. Sikhs are also exposed to kidnapping threats from militant groups. The kidnappers demand unaffordable sums and then kill the victim if not paid. In February this year, two Sikh businessmen were kidnapped in Dera Ismail Khan. They were released after allegedly paying a hefty ransom of Rs. 4 million ($38,953), although one of the victims denied paying. In January 2013, a 40-year-old Sikh was kidnapped by the militant group Lashkar-e-Islam in Khyber Agency (tribal areas in the north-west of Pakistan). He was later beheaded and his mutilated body was dumped in a sack with a note accusing him of spying for a rival group. 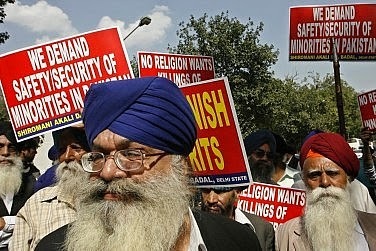 Meanwhile, the Sikhs have also clashed with other minorities. In March last year, a rift emerged between the Hindu and Sikh communities in Shikarpur, Sindh. Sikh students were in uproar after the head of Shikarpur’s Jai Samadha Ashram was photographed holding the Sikhs’ holy book without his head covered, drawing symbols on it. Photos of the act, considered disrespectful to the book, circulated on social media. The outraged Sikh community eventually received an apology. In Pano Aqil, meanwhile, a group of Hindus tore Sikh scriptures placed in a Hindu temple in mid June. They were later arrested because under Pakistani law, destroying any religious scripture is considered blasphemy. A compromise was subsequently reached, after the head of the temple apologized. Pakistan Sikh Council Chairman Sardar Ramesh Singh confirmed that the desecrations have taken place in other parts of Sindh, like Shikarpur, Mirpur Mathelo and Dadu. This week, at least five Sikh families have decided to move to India because of the security situation. However, the Indian visa requirements have become tougher. Most pilgrims have to submit a written document saying they will not seek asylum in India and will return to Pakistan before their visas expire. The Pakistani Sikh community, which has lived in Pakistan since partition and has been affiliated with a violent separatist movement in the Indian Punjab in the 1980s, is not welcome in India. Since last month, the PTI has been on a sit-in in Islamabad, protesting what it claims was vote rigging in last year’s general election. Many of PTI’s leaders, including Imran Khan, have been seen in Islamabad more often than in KPK. Opposition members, including Senator Amarjeet Malhotra, have been critical of the PTI’s absence and alleged neglect during this period. However, Suran Singh rebuffs the criticism. Ammara Ahmad is a web editor at the Daily Nation, in Pakistan. She holds a Masters in Journalism from the University of Hong Kong. Her work has appeared in Pakistani newspapers such as The Express Tribune, The Friday Times, The News on Sunday, Viewpoint Online, and The Nation, as well as in Malaysiakini and Indian newspapers such as Tehelka and DNA India. In the past, she has been a National Press Foundation Fellow and Fulbright scholar. A phone call to friends on the mainland indicates a lack of awareness of any Hong Kong protest and those who are aware appear not to give a damn anyway. Attitudes to the so-called “Umbrella Revolution” (umbrellas for deflecting police mace) are much the same on the Island as people go about their business as normal despite having to step over 50,000 youths. Okay here’s the rub; Beijing wants to put up its own candidates for the 2017 Hong Kong elections, allowing HK residents only a choice from Beijing’s choice. Only 25 per cent of HK residents object, they are mainly youngsters and student activists who are not yet integral to the workings of the monetary monolith. The remaining 75 per cent see Beijing’s interference as inevitable and just want to get on with business. 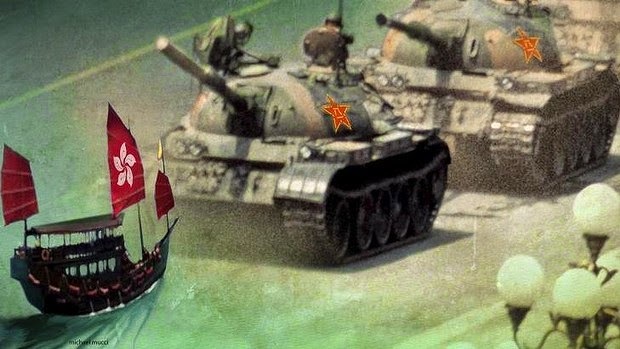 Beijing is resolute and unwavering in its disputes with Taiwan, Tibet and over Japan’s Senkaku Islands, so there’s little chance it will succumb to a few Hong Kong student radicals staging a sit in. Beijing has scant regard for human rights, it restricts the social media “menace”, manipulates media and deals with Islamic terrorism in a way the West wishes it could. Basically, Beijing does what it bloody well wants. In this scuffle it holds all the cards, both legally and pragmatically, for the simple reason that Hong Kong’s sole interest is in money, actually there’s not much else on the island to be interested in. China’s economic success is due to treading a fine line between capitalism and communism... it’s just that regular calls for that pesky principle of democracy get in the way sometimes. And it is the only one of the big four that has wisely ignored the Middle East. During talks with the Brits in 1982, Deng Xiaoping of the People’s Republic of China (PRC), told Margaret Thatcher, in reference to Hong Kong, that, "I could walk in and take the whole lot this afternoon". That was true then and it’s even truer since the 1997 handover. But that’s a solution of last resort for the mainland and it won’t be necessary. Time is on Beijing’s side and the protesters resolve will soon wane as they tire of sitting their skinny bums on hard asphalt and wander back to uni. Crowds of 50,000 for China don’t even register on a population scale of 1.4 billion. Unlike his scandal-plagued predecessor Gloria Macapagal-Arroyo — who left office as the most unpopular post-Marcos president — it has long seemed that Benigno S. ‘Noynoy’ Aquino III, could do no wrong. Aquino promised to take the ‘straight path’ (matuwid na daan) to clean up corruption. This, he said, would also eradicate poverty. Aquino’s reforms were, at first, very successful. Economic growth accelerated to the highest among ASEAN nations. Corrupt politicians were held accountable — Arroyo was charged with plunder while Aquino’s congressional allies removed Supreme Court Chief Justice Renato Corona, a ‘midnight’ Arroyo appointee accused of obstructing Aquino’s anti-corruption drive. More people paid their taxes after a Bureau of Internal Revenue crackdown. And pro-administration candidates dominated mid-term congressional elections in 2013.
Credit rating agencies such as Fitch gave Aquino’s administration a vote of confidence as well, upping the country to investment grade. The Philippines steadily improved its ranking in Transparency International’s Corruption Perception Index, moving from 129th of 177 countries in 2011 to 105th in 2012 and to 94th last year. Aquino seemed to be moving fast along a ‘straight path’. But over the past 12 months Aquino’s reform drive has run into a dead end. In 2013, there were revelations that corrupt legislators employed fake non-governmental organisations (NGOs) set up by businesswoman Janet Lim-Napoles and others to divert pork barrel funds into their own pockets. After initial hesitation, Aquino — seeking to limit the outcry from his middle class base — agreed to abolish the Priority Development Assistance Fund (PDAF) that had been used to pay the fake NGOs. Aquino was not initially blamed for this pork barrel scam — the president-appointed ombudsman indicted three opposition senators. But Aquino was accused of shielding his allies in Congress by limiting the Commission on Audit investigations of the scandal to before he took office in 2010. Aquino’s opponents also claimed that money had flowed to legislators to vote for Corona’s impeachment, trial and conviction. In the absence of a strong party system, patronage has long been the only way for a president to ‘get things done’ in the Philippines. Fidel V. Ramos, generally considered the most successful reformist president before Aquino, was particularly adept at pork barrel spending to push through reforms. 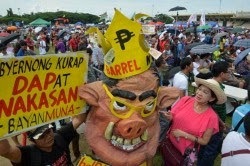 Aquino’s artful concealment of the necessity for presidential pork was ‘outed’ when the Supreme Court ruled unanimously on 1 July this year that major components of the Disbursement Acceleration Program (DAP) — which Aquino defended as a necessary instrument to quickly disperse unspent funds from other programs to higher priority projects — were unconstitutional. Aquino lashed out at the Supreme Court in his penultimate State of the Union address, leading to fears that he would try to impeach its members (including his newly appointed chief justice) or slash its budget. Aquino also hinted that he might push for constitutional change to allow him to run for a second term, raising old fears of Marcos-style continuismo (continuing indefinitely in office). But his congressional allies abandoned him both on his challenge to the Supreme Court and his call for constitutional change. His poll ratings have dipped sharply and Aquino — accustomed to high levels of popularity — now faces political isolation as a lame duck president. Philippine politics appears to have gone through yet another case of a popular leader brought low by cascading scandals and failed promises. Aquino himself admitted his pledge to clean up the Bureau of Customs had failed miserably and recently appointed a new Custom’s chief to try again. But in Aquino’s case, the fall from grace is particularly striking given his narrative of ‘good governance’. Graft remains, and Aquino’s family continues to resist the court-ordered land redistribution of his family’s huge plantation Hacienda Luisita. Growth in the Philippines remains profoundly unequal. Under Aquino, the Philippines has experienced impressive macro-economic growth, fuelled by remittances from the 10 per cent of the country’s population working abroad — often in menial jobs — and business process-outsourcing, primarily call centres that are largely foreign owned and can easily be moved to another country. While the service sector has boomed, agriculture — the economy’s biggest sector — has performed dismally. Last year, economist Cielito Habito calculated that the growth in the aggregate wealth of the country’s 40 richest families in 2011 was equivalent to over three quarters of the increase in the country’s GDP that year . Unemployment, already the highest in ASEAN, has risen during much of Aquino’s presidency, while poverty has hardly dipped. Self-reported poverty has actually risen. Aquino has poured money into a Brazilian-style conditional cash transfer scheme that has met with some success but critics say he should concentrate instead on universal social services and creating jobs. The administration’s list of major completed infrastructural projects is also lean. Vice President Jejomar Binay (who defeated Aquino’s vice presidential bet in 2010; presidential and vice-presidential candidates are elected separately in the Philippines) is widely seen as a leading contender in the 2016 presidential election — although his bid has been tarnished by a plunder case (for a supposedly overpriced parking garage said to involve payoffs) recently filed against him, which his supporters claim was instigated by Aquino allies. Binay became a national political figure through his promotion of social welfare when mayor of Makati, Metro Manila’s business district. This suggests that Aquino’s inability to stick to the ‘straight path’ may have shifted the focus of the next campaign to the plight of the country’s poor who lack access to decent jobs, adequate education, health care and other social services. Mark R Thompson is Director at the Southeast Asia Research Centre (SEARC) and Professor of Politics at the Department of Asian and International Studies, City University of Hong Kong. What happened to the Asian Century? Whatever happened to the Asian Century? You'd think it was already over given the way it's vanished from our public discussion. It's two years since Julia Gillard launched the Asian Century White Paper with great fanfare. The Abbott Government has since toned down the Asian Century rhetoric but the opportunities and risks highlighted by the white paper are just as prescient. It forecast that "almost all our economy and society" will be affected by the momentous changes taking place to our north and warned "a whole-of-Australia effort" was needed to deal with a social and economic transformation as "profound as any that have defined Australia throughout our history." When I returned home from a three-year stint as Fairfax's India correspondent, shortly before the white paper's release, I was struck by how ill-prepared Australia seemed to be for the economic and political emergence of Asia's giants. There was a one dimensional storyline about Asia that focussed almost entirely on trade opportunities that would flow our way as the region's cashed-up middle-class grew over the next couple of decades. There was little discussion about how hard it will be to effectively sell our goods and services into those complex, fast-changing markets. While trade with Asian countries has ballooned, and we're taking more holidays in the region, this has not translated into widespread curiosity to learn about the cultures and societies of Asia. Even though our economic future depends on Asia, our knowledge of its many cultures is surprisingly limited. Nor did there seem to be much discussion about how Asia's well-educated middle class workers will compete with Australian workers. Visit any one of India's many IT hubs and it's clear that many more jobs in big industries including finance, information technology, design, administration and professional, scientific and technical services could be outsourced in future. I assumed the white paper's high profile release showed Australia was finally engaging with the implications of economic change in Asia in a more sophisticated way. While the report is far from perfect, its central message is important: Australia is well placed for the Asian Century so long as we make some difficult preparations. It calls for a better educated, Asia-savvy workforce and stresses the importance of nurturing innovation. Despite these timely suggestions it's been pretty much business as usual. The rapid disappearance of debate about our response to the Asian Century reeks of complacency. If Australia is to flourish in the Asian Century we're going to have to be bold and inventive. But some of our top economists think Australia is showing signs of being too risk averse. In March the Reserve Bank's Deputy Governor, Philip Lowe, drew attention to what he sees as a "subtle, but important" change in the way we think about risk and innovation. "Our preferences appear to have shifted in such a way that we increasingly focus on risk mitigation and risk control," he said. Examples of our collective risk aversion are everywhere – from the many financial products on the market, to the design of children's playgrounds and even the vast amount spent to reduce the probability of blackouts. Limiting risk isn't a bad thing of course – the capacity to do it is one of the benefits of living in a wealthy, high-productivity economy. But Lowe thinks we are playing it too safe. "People need to be able to take risk, they need to be able to be rewarded for risk and we need to innovate to find new ways of doing things better," he told a Parliamentary Committee last month. "I think it is about somehow enlivening the entrepreneurial, risk-taking and innovation culture so that we can be the type of country that has high value-added, high wages and high productivity. I think culture is important here." The Nobel prize-winning economist, Edmund Phelps, has drawn attention to the need for a culture of "economic dynamism" in modern societies. He believes recent trends at work in western cultures have stifled the desire and incentives to be inventive. "Economies today lack the spirit of innovation," Phelps wrote in an article for project-syndicate.org last month. 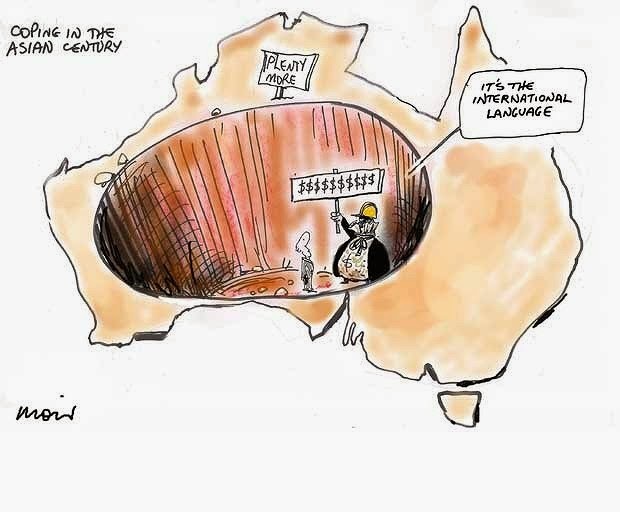 The risk-aversion that has crept into Australia's culture threatens to sap the economic dynamism that will be vital to our prosperity in the decades ahead. One response to rising competition from developing countries like China and India is to boost the number of students pursuing degrees in science, engineering, information technology and mathematics. But Phelps warns that's not enough – modern economies also require workers deeply immersed in literature, philosophy and history. Studying the humanities "will do more than provide young people with a set of narrow skills; it will shape their perceptions, ambitions, and capabilities in new and invigorating ways." While technical expertise will be important, Australia also needs those who can think imaginatively and come up with creative solutions to complex challenges. Most of all, we'll need a culture that encourages people to have a go. We're not going to thrive in the Asian Century by being complacent and risk averse. Matt Wade is a Fairfax economics writer. Is Xi Losing Control of China's ‘Peripheries’? Indonesia, with the largest Muslim population in Asia, is one of the most vulnerable states in Southeast Asia to possible infiltration from members of the Islamic State (IS, formerly known as ISIS). Although the capacity of violent extremist groups remains low, this could change with the eventual return home of an unknown number of Indonesians now fighting in Syria and Iraq who will have the training, combat experience, and leadership potential now lacking in Indonesia’s extremist community, according to a new report issued last week by the Jakarta-based Institute for Policy Analysis. The report examines the ISIS support network in Indonesia, how it emerged, who joined it and how it has evolved. While the government’s response has been forceful, it still needs to translate decrees into action, the report continues. A small group of Indonesians inspired by an activist named Bahrum Syah with links to an extremist organization once known as Al Muhajiroun and Anjem Choudary, one of Al Muhariroun’s founders, have become the engine of the pro-ISIS network. The appearance of the ISIS phenomenon means the incoming Jokowi government will have to decide whether to continue the counter-terrorism policies of the Yudhoyono government or ramp them up, including by pressing for strengthened legal tools. “Either way, it is critical that leadership of the counter-terrorism effort be left in the hands of the police, who over the last decade have accumulated all the institutional knowledge of radical networks. Whatever strength ISIS has in Indonesia today appears to be centered in the prisons where police intelligence units rolled up previous jihadi units involved in the bombings of the Marriott and Ritz Carlton hotels in Jakarta, among other terrorist activities. As the Arab Spring upheavals rocked the Middle East and North Africa in 2011, these jihadis regarded the fall of dictators as the first step toward the establishment of the caliphate. One critical area is obviously prison management. Stopping the translation of ISIS pronouncements will not stop their dissemination but it could slow them down and in any case could be a test case of ability of the Indonesian prison system to manage prisoners, their visitors and their communications, the report continues. Prison officials need much more explicit training in what is and is not allowed and ensure that tight control is maintained over communication and reading materials. The Jokowi government also needs to follow through on Yudhoyono’s instructions to strengthen the capacity of the immigration service to monitor the comings and goings of ISIS supporters. This means more coordination with Detachment 88 and BNPT in providing watch lists for officials at ferry terminals and airports as well as timely sharing of information with governments in the region, especially Malaysia. Any bureaucratic obstacles to that sharing should be reviewed. It also needs to consult with other governments before issuing visas for radical clerics such as Anjem Choudary and Omar Bakri. Indonesia, the country risk organization says, “does need a number of stronger laws to enforce its commitment to banning ISIS. For example, at present it is not illegal for Indonesians to travel overseas to take part in military training, and it should be. At the same time, Indonesia needs to avoid the temptation to turn the current anti-terrorism law into something that more resembles an Internal Security Act like Singapore’s, with provisions for lengthy preventive detention without trial. In the absence of new laws, the government may have to fall back on prosecuting some ISIS organizers under Criminal Code provisions that punish criminal incitement. President-elect Jokowi will likely defer to his security advisers on the issue of counter-terrorism but he needs to think very carefully about staffing key positions. If the head of BNPT changes, for example, it is important that it stay with the police, not the army, and that that the danger posed by ISIS is not seen as an opening to give a greater role to the Indonesian military. It is the counter-terrorism police who have the institutional knowledge, the intelligence networks and the track record to manage the problem, although the high rate of deaths of suspected terrorists in police operations over the last two years also needs to be brought down. Finally, the incoming government also needs to rethink a strategy for counter-radicalization, including through the development of a social media strategy. This is where BNPT and the Yudhoyono government have been weakest. It should not have taken a video posted on YouTube on 23 July to convince the government that ISIS was a threat, when incendiary teachings had been taking place across Indonesia for the preceding year. The Indonesian government has reacted more forcefully to the appearance of IS than to any other extremist movement in memory and so has the mainstream Muslim community. The difficulty will be to translate genuine concern into meaningful change in terms of new legislation, improved immigration controls and better management of prisons. A decade ago, Thaksin was practically unchallenged in Thailand. He had earlier squeaked through an assets concealment trial on a narrow and questionable vote after nearly winning a majority in the January 2001 election. A consummate politician and former police officer, Thaksin benefited from extensive networks in business and the bureaucracy, including the police and army. In politics, his Thai Rak Thai party became a juggernaut. It devised a popular policy platform, featuring affordable universal healthcare, debt relief and microcredit schemes. It won over most of the rural electorate and even the majority of Bangkok. 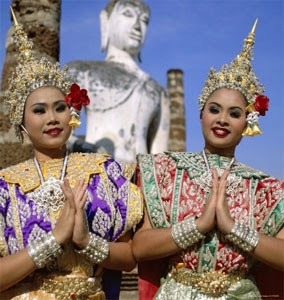 Absorbing smaller parties, Thai Rak Thai virtually monopolised party politics in view of a weak opposition. Thaksin penetrated and controlled supposedly independent agencies aimed at promoting accountability, particularly the Constitutional Court, the Election Commission and the Anti-Corruption Commission. His confidants and loyalists steered these agencies. His cousin became the army’s Commander-in-Chief. His police cohorts were fast-tracked to senior positions, including his brother-in-law, who became national police chief. Similarly, Thaksin’s business allies and associated partners secured plum concessions and choice government procurement projects. After his landslide victory in February 2005, Thaksin became the first prime minister to be re-elected and to preside over a government composed only of one party. But his virtual monopoly on Thai politics and accompanying hubris inevitably got the better of him. Making a lucrative business out of politics led to his demise in the September 2006 military coup. Thaksin’s rule was democratic on paper but authoritarian in practice. Yet Thaksin’s legacy is already strong. His subsequent proxy governments in 2008 and 2011–2014, under his sister Yingluck Shinawatra, were politically paralysed by anti-Thaksin street protests. When Yingluck looked poised to complete her term, Thaksin’s Pheu Thai party came up with a blanket amnesty bill that upended her government, assisted by the independent agencies that had turned against Thaksin in the 2006 coup. The putsch on 22 May 2014 was merely the knock-out blow on an ineffectual administration that was not allowed to govern. Thitinan Pongsudhirak teaches International Political Economy and is Director of the Institute of Security and International Studies at Chulalongkorn University in Bangkok. It must have seemed like a miracle to watch Hong Kong emerge from its ignominous beginnings to become one of the great cities of the world. The speck of land taken at gunpoint by the British after the Opium Wars grew into the most vibrant sanctuary in all of Asia for merchants, writers and dissidents to create, make money and learn to tolerate each others' points of view. For Australians, what was once a shopping destination is now home to 70,000 expatriates and a crucial gateway to mainland China and the region. The miracle ingredient which distinguished Hong Kong was not democracy, which Britain refused to deliver, but rule-of-law. The freedoms that came from clean, impartial and independently administered courts enabled Hong Kong's unique mingling of Chinese traditional folk society and Western civil society. It produced global banks, vibrant newspapers, thriving businesses and also formidable police and impartial courts that were envied by nations that had been far more generously endowed. When the integrity of Hong Kong's legal institutions were threatened by corruption in the 1970s, the city simply invented a new one. "A new and potent force of public opinion emerged," says the Independent Commission Against Corruption on its website, explaining how it came about. "People pressed incessantly for the government to take decisive action to fight graft." The legacy of ICAC is enough alone for the people of NSW to invest themselves in the future of Hong Kong's rule-of-law. The irony, and tragedy, is that the legal freedoms that made Hong Kong great were also vulnerabilities that the Chinese Communist Party could patiently exploit. 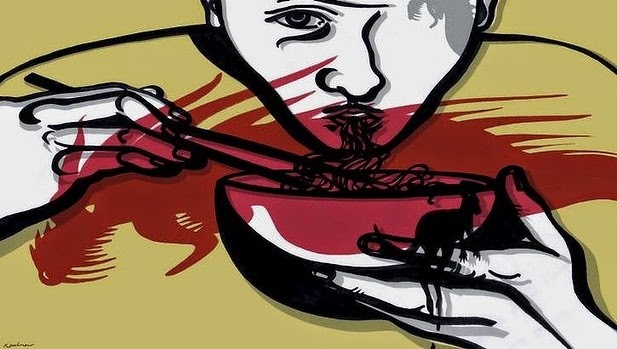 As Kang Zhengguo from Yale University told a conference in April, the party established "networks of subversive agents, planting the seeds for the future erosion of Hong Kong freedoms even while taking advantage of them". Those seeds of subversion lay mostly dormant or at least unnoticed for nearly one-third of the 50-year period in which the party promised to leave Hong Kong's system basically unchanged after the 1997 handover. When those seeds sprouted this Hong Kong summer, however, the impact was more immediately chilling and destructive than almost anybody feared. Last month Beijing announced that its long-awaited procedure for "democratically" electing the chief executive from 2017 would exclude candidates it did not like. The harsher-than-expected decision led directly to the "Occupy Central" civil disobedience campaign which attracted the world's attention on Sunday, after riot police failed to disperse protestors with tear gas. The greater tragedy, in the Herald's view, has been the systematic but largely silent erosion of the institutions of civil society that made it safe for the party to make that announcement. Police investigations have been compromised, triads have mobilised and even the city's great multinational banks – HSBC and Standard Chartered – have allegedly been co-opted to squeeze the financial lifelines of pro-democracy voices, as the Herald revealed in relation to the Apple Daily's Jimmy Lai on May 31. The pressure has been too much for some who had been holding out. Tony Tsoi Tung-ho, publisher of a thriving online news and commentary website called House News, abruptly closed his website on July 20 and replaced it with this online message: "A wave of white terror envelops this society, and I feel it. And, as a businessman who often travels up to the mainland, I have to admit every time I cross the border I would get jittery. Am I just being paranoid? That feeling is inexplicable to outsiders. But what unsettles me most is my family also feels this pressure, and they worry about me all the time ... That breaks my heart." The pressure on those who continue to hold out, most notably Mr Lai, is growing by the day. On July 1, the anniversary of the handover, sophisticated actors hacked into his systems. 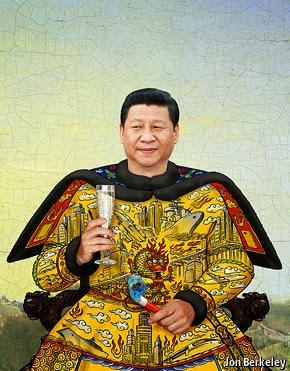 Last month they leaked the contents of (legal) political donations to Beijing-friendly media. Most recently, and most worrying, ICAC – the organic achievement of Hong Kong's civil society – raided his home. The Herald urges authorities in Hong Kong and Beijing to respond to the weekend's peaceful protests in a peaceful manner that is worthy of China's great power aspirations. And we firmly stand with the vast majority of Hong Kong's 7.5 million people who are fighting to defend the institutions that have made their great society work. On a wider view, with implications for people everywhere, they are fighting to extract a cost, however inadequate, when China's current rulers attempt to make the world safer for themselves by eroding the ideals and practice of the rule of law. A South Australian company is paying one of many competing Islamic Halal Certification “services” (AFIC) an undisclosed monthly fee for its seal of approval. 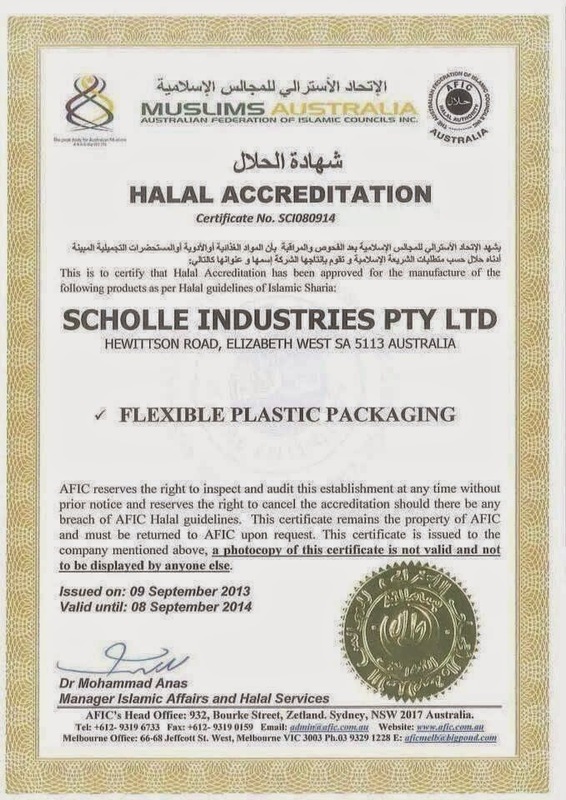 But Scholle Industries Pty Ltd, based in Elizabeth, is a manufacturer of plastic packaging (plastic is derived from oil) and has apparently been able to assure Muslim fraudsters that all oil wells are facing Mecca. Farcical Halal certification is being exposed as nothing more than an extortion racket adding to the cost of almost every type of purchase and governments are failing to act to protect Australians from this Islamic curse on our retail trade for fear of an Islamic electoral backlash. Coercion, and threats by the Islamic “certifiers” to economically cripple Australian manufacturers and processors who refuse to pay up are being ignored by authorities. Since the scam has been exposed, Aussie shoppers are refusing to buy product with the Halal certified label and the little Arab motifs are disappearing from shelf products everywhere like pork pies at a Passover, but the payments and the threats remain. Halal certification headquarters are based in Saudi Arabia with Indonesia (MUI) administering the Asian arm and many various competing Australian “certifiers” operating both nationally and in most States. Total income from the world-wide scam is a reported $1.2 trillion, with Australia contributing a mere billion or so while our Defence Force wonders where the hell the House of Saud gets the money to pay the Islamic State. It was reported here earlier this year that one major Aussie meat processor, who refused to be identified, claimed he had been told to pay $27,000 a month for halal certification or risk being banned from exporting. Mr Stephen Kelly, an executive of the Japanese-owned Nippon Meat Packers in Queensland, said last year that MUI had already banned his abattoirs from selling meat to Indonesia because he had procured his “certification” from one of MUI’s Australian opposition certifiers, AHFS. Meanwhile the Heart Foundation’s “tick of approval” is proving another fraudulent impost on embattled Aussies with “ticks” being thrown to pizzas, deep-fried chips and pies, if the right amount of money is paid of course. MacDonald’s has forked out millions over the past eight years to have the Heart Foundation's “tick” of approval on their junk food. The Heart Foundation is a (cough, cough) non-profit organisation but their “advisers”, “consultants” and executives drive very nice cars, live in very nice houses and take extended, very expensive and all exes paid overseas trips to study other "ticksters". If this government was able to get rid of the carbon tax, Halal, Kosher and the “tick” taxes should be a piece of piss. Pro-democracy protests in Hong Kong have handed China's Communist leadership a thorny political dilemma. Demonstrators demanding a greater say in choosing the financial center's leader, or chief executive, defied attempts over the weekend by riot police to end their sit-ins with blasts of tear gas and pepper spray, and on Monday fanned out to more neighborhoods of Hong Kong in a tense standoff. "The Chinese authorities do not want to see it spread to the mainland," said Beijing-based historian and political analyst Zhang Lifan. "It has put tremendous pressure on Beijing, which is most worried about a domino effect." Beijing's increasingly hard-line leadership, which has clamped down over the past year and a half on dissent and any calls for greater democracy, is highly unlikely to agree to any discussion about political reforms in Hong Kong. Nor does it want bloodshed. But it will use force — as much as it deems necessary — to ensure stability, Zhang said. "After all, it believes that political power grows out of the barrel of a gun, instead of elections," he said. "It will return to this simplistic law of the jungle." An opinion piece that was briefly available on the news site of the nationalistic Chinese newspaper Global Times suggested Beijing send its military police, part of China's armed forces, to help in "suppressing the riots." The editorial was later deleted. In Hong Kong, Beijing-backed Chief Executive Leung Chun-ying denied what he called "rumors" that the Chinese military would intervene. So far, the situation hasn't reached the point of requiring troops, said Steve Tsang, senior fellow at the University of Nottingham's China Policy Institute. Even the decision by Hong Kong's territorial government over the weekend to use riot police went too far, putting the still-peaceful demonstrations on a dangerous trajectory, Tsang said. "If the authorities change the tactic, go back to the traditional method of policing, pull back the riot police and talk to the people, we will have the demonstration back in the defined area," Tsang said. Beijing will orchestrate the use of force if necessary to break up crowds and keep military deployment only as a last resort, said Willy Lam, an analyst at the Chinese University of Hong Kong. "It's possible Hong Kong police have enough muscle so they could use water cannons and other things, perhaps rubber bullets, to disperse the crowds," Lam said. The protests reflect disillusionment with mainland Chinese rule among Hong Kongers, especially the younger generation, who feel Beijing has failed to keep promises of greater democracy for the territory. 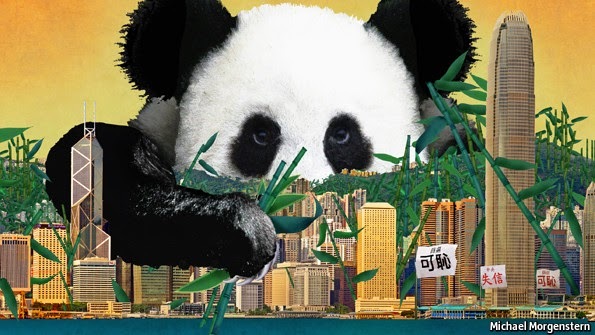 Those promises were written into Hong Kong's charter as part of the "one country, two systems" arrangement that Britain negotiated with Beijing when the former colony was returned to China in 1997. Last month, Beijing rejected a proposal for open nominations of candidates for Hong Kong's first-ever leadership election, promised for 2017. Instead, all candidates must continue to be picked by a panel that is mostly aligned with Beijing. Residents have "realized Beijing will not change its mind, and they want to send the message that 'we want to hold our future in our hands,'" Lam said. Any crackdown would play out in front of a relatively free news media in Hong Kong, which under "one country, two systems" has kept its own legal system and many Western-style civil liberties not enjoyed on the mainland. Chinese state media, on the other hand, have provided little coverage of the Hong Kong protests beyond noting that an illegal gathering spun out of control and was being curtailed by police. The Chinese government's main official response to the protests was a brief statement condemning their illegal assembly and throwing its support behind the Leung administration's attempts to disperse the crowds. 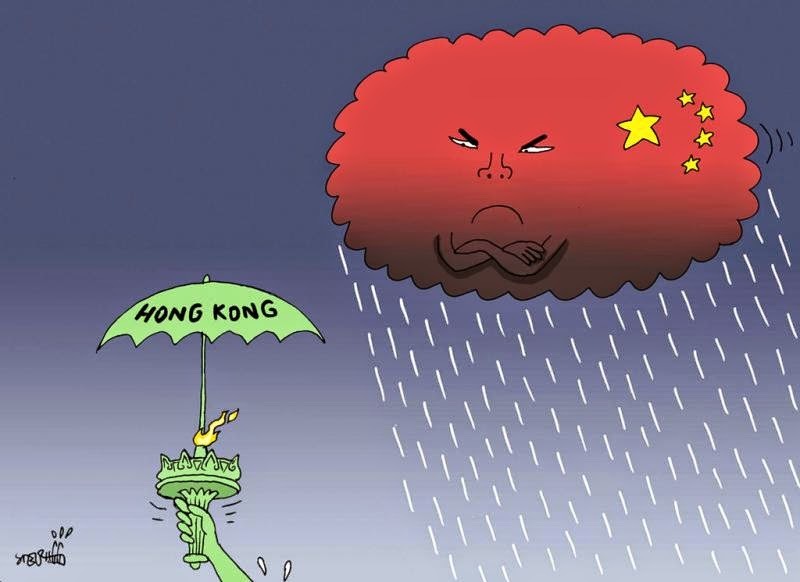 "We believe the majority of Hong Kong residents will not tolerate a few people's radical, illegal activism at the cost of Hong Kong's rule of law, stability and prosperity," China's liaison office with Hong Kong said in the statement Sunday. China's main TV broadcaster, CCTV, showed no images from the Hong Kong streets. That contrasted sharply with its detailed coverage of the protests and tension surrounding the August shooting of an unarmed 18-year-old black man in Ferguson, Missouri, with on-site reporters and studio analysts discussing racism and inequality in American society. However, an alternate narrative has seeped into the mainland through cellphone instant messaging services. Users have posted video clips and photos from Hong Kong streets, as well as articles on the unrest sent as photo images — not text — so they can circumvent censorship that involves searching text messages for key phrases. Discussions were muted on China's Twitter-like Sina Weibo, where Beijing has tightened censorship and intimidated microbloggers from posting politically sensitive materials following a clampdown last year. China also has blocked access to the photo-sharing service Instagram. Lam said that however the protests unfold, Hong Kong's people have sent a strong signal that "the rule of the game has changed" and they are no longer content only with China's economic prosperity without a say in their future. In downtown Beijing, economist and frequent government critic Wen Kejian said Hong Kongers should be given a genuine choice. "The economy of Hong Kong has already been so prosperous and the city has been so open and international that the people of Hong Kong have the wisdom to master their political future," Wen said. "Stability without freedom is slavery. It is meaningless." Associated Press journalists Ian Mader and Aritz Parra contributed to this report. MUSLIM IMMIGRANTS... do we ever ask what brand? How Safe Is Southeast Asia? What Happens If China Becomes Japan? Is it time to leave beloved Hong Kong? 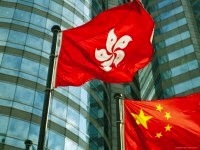 Will Hong Kong see China deliver its promises?